Have you heard of biomagnetic pain relief therapy? Of course, you have. Are you wondering whether it works or not? The use of magnets dates back over 5000 years to when the Chinese started using natural magnetic lodestones for pain relief. Cleopatra used them to stay young and in the 3rd century Greeks used them to treat arthritis; later medieval doctors used magnetism for treating poisoning and baldness. Let’s ask BiomagScience, a Health Magnet Research Company with over 35 years of development in advanced Biomagnetic protocols for pain, acute injury, chronic illness and disease. Biomagnetic Alternative Energy Medicine is used as standard medical practice throughout Asia. Supported and recognized by The Asian Energy Medicine Association, a number of Association members including medical institutions use and teach BiomagScience protocols. 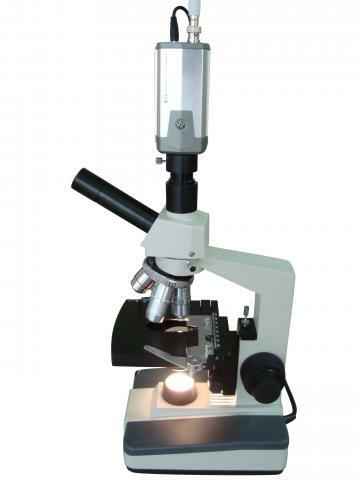 BiomagScience has established the science with before and after blood analysis, Bowen dry cell oxidative stress/free-radical testing and Bioelectrical Impedance Analysis (BIA) machine, an FDA registered instrument that analyzes and measures the electrical values of the cells. Cellular voltage was established in medicine and by the FDA many years ago as a scientific indicator of the health of an individual. Based on the cell’s membrane, a voltage of about +600pF for women and 800pF for men indicate average health. Anything variations below those markers indicate how sick the individual is. Any therapy providing an immediate voltage increase is an indicator that the therapy is working and producing an increase in cellular health leading to wellness. Clinical studies show how BiomagScience therapies have helped overcome untreatable long-term chronic illness. For example, two middle-aged women with malabsorption were bedridden for 15 and 25 years with extreme pain, chronic fatigue, fibromyalgia, and candida. A Catch-22 condition, malabsorption is a very tough to overcome because the sick cells are stuck. They are so weak they don’t have enough energy to absorb the nutrients required to increase their energy to overcome their dysfunction and become healthy. These women tried every type of allopathic and alternative therapy available including poorly designed magnets and nothing worked until they tried BiomagScience advanced energy therapy. In the case of the 25-year term woman, her cells measured 400pF, an extremely low voltage indicating very poor cellular function. Normally it takes at least six months of a specialized diet and treatments to increase cellular voltage 50pF, but as indicated, nothing worked for her. Within an hour of Biomagnetic therapy, her voltage went up 107pF – something never seen before with any type of illness. In that hour, she was on the road to recovery and both cases subsequently resolved with continued BiomagScience energy therapy. After 15 and 25 years of being very ill, they got their lives back. BiomagScience has developed therapies that help resolve: onset disease like Lupus, early child blindness due to manifest nystagmus, carpal tunnel, rheumatoid arthritis; and most minor and major painful conditions. It has also helped regenerate nerve tissue to help people walk normally again, connective tissue for torn meniscus; and bring people out of terminating comas. Many case studies can be reviewed at www.BiomagScience.Net and these results are why practitioners and health institutions use and teach their protocols. How Does it Reduce Pain? BiomagScience explains that pain comes from inflammation which occurs from trauma or stress and causes cellular dysfunction. When healthy cells become inflamed, their charge moves toward a positive state losing their healthy negative charge. This signals the brain to flood the inflamed area with healing negative energy. Proper biomagnetic therapy amplifies the negative energy to the area to help quickly reduce the pain and inflammation while assisting the body for rapid healing. BiomagScience provides diagrams and pictures to make it simple to apply the Biomagnets because applying the correct negative energy on the body is very precise and scientific. Placement requires knowledge of the body‘s energy flow, its energy points, and polarity meridians. The site or system may initially require a special circuit or advanced therapy to help regenerate tissue or overcome chronic illness. Most magnetic product manufacturers do not know about these scientific precepts. Their necklaces, bracelets, foot pads, patented multi-polar pads, and other designs offer inadequate or improper energy placement and as a result, have given health magnets an undeserving bad reputation. Biomagnetic Alternative Energy Medicine offers very important therapies that provide pain relief and support for conditions that allopathic medicine is not able to treat; it also supports allopathic treatments to help in faster healing. 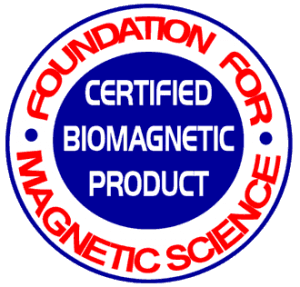 Biomagscience offers the Biomagnetic Magnet Pain Relief Wellness Kit, a Master Kit that provides certified medical magnets for family vitality and healing therapies for over 180 A-Z painful, acute and chronic injuries, illness and disease. BiomagScience also offers separate water energizers for therapeutic water benefits and supplements for reducing vascular plaque, increasing oxygen for energy, and maintaining a youthful metabolism. 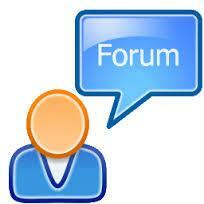 For voluminous research, clinical cases, videos and answers about Biomagnetism, go to www.BiomagScience.Net.